Taking these roles into mind, it is also important for the CIO to demonstrate accountability within their organization. In a blog post for CIO.com Meridith Levinson provides details about her interview with executive coach and author, Linda Galindo and discusses why this is so important for IT leaders to carry out. 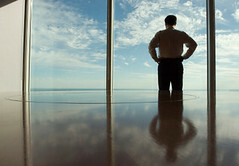 Accountability begins with the CIO serving as an example to the organization. A way to accomplish success in an environment of accountability is initiating and sustaining active and open communication within the organization and owning up to mistakes when they may occur. A lack of accountability and time wasted on accusation rather than resolution only hurts the organization in the long run. Click here to read Meridith Levinson’s CIO blog post.